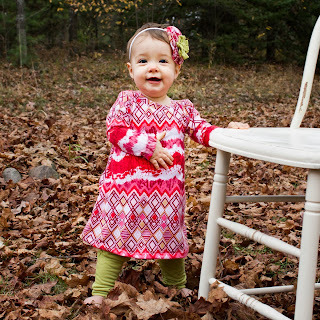 Long sleeve baby dress pattern - just in time for winter! 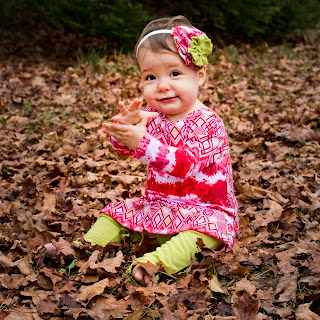 Can a long sleeve baby dress pattern save your baby from freezing at the holidays? Yes it can! There is nothing that is more irritating than walking around the stores or sewing pattern isle while looking for a Christmas dress for my baby. Seriously, don't clothing manufacturers know that it is WINTER time? Yes, baby arms are cute, but they are much cuter when they aren't blue. Does anyone actually take the cardigan off of their baby at Christmas time? Or the undershirt? I think not. 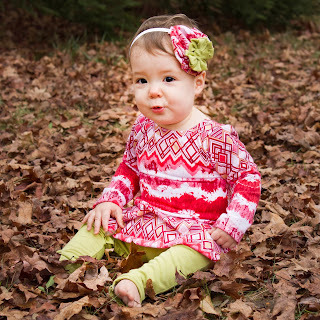 Yet, I am still finding mostly short sleeves or sleeveless Christmas baby dress patterns. 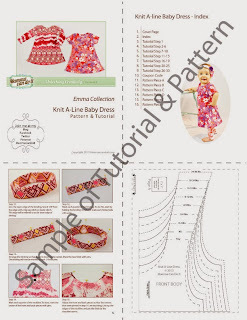 of the long sleeve baby dress pattern, please click here. 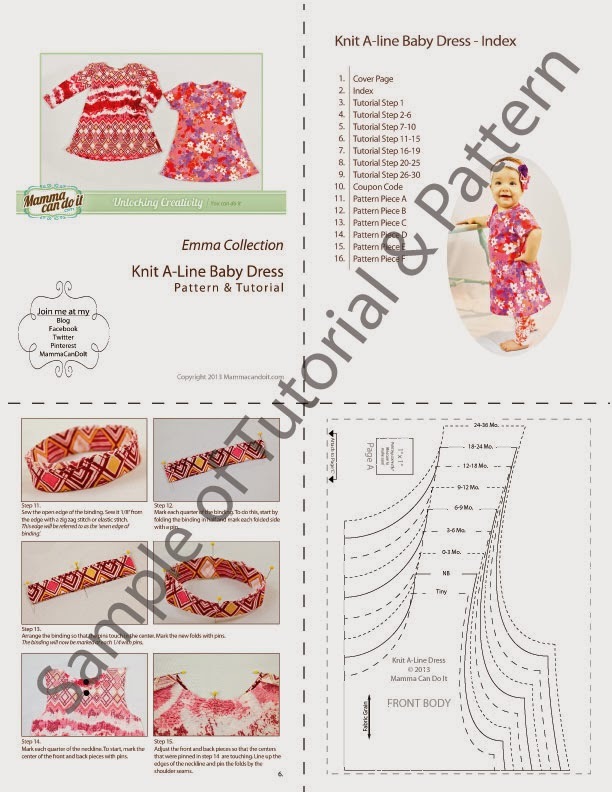 After deep thought and a smidge of frustration, I decided that I wanted to make a new baby dress pattern so that my baby would have something decent to wear this holiday season. 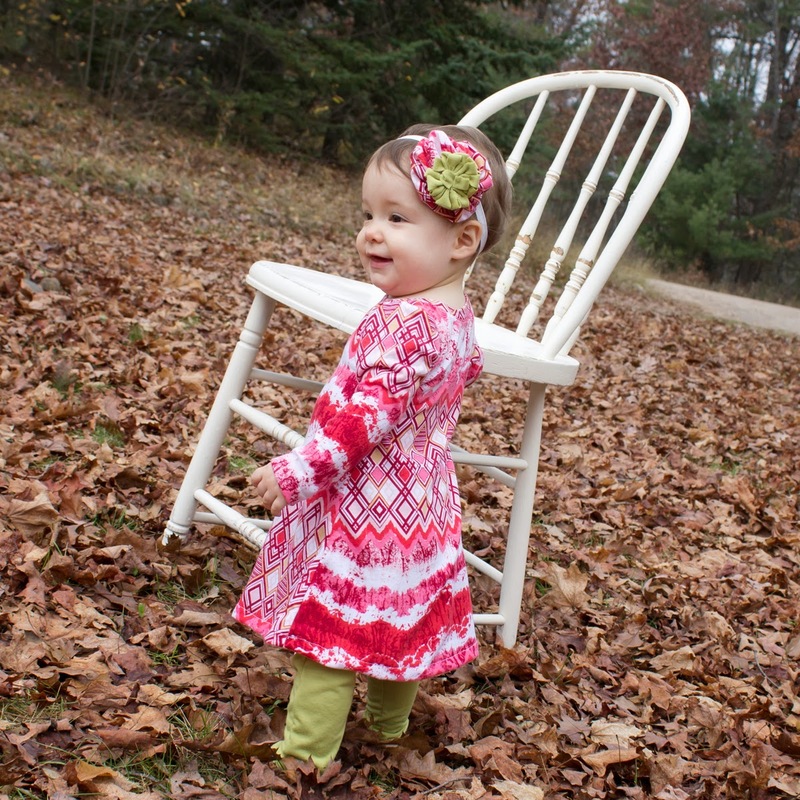 There were many options that I considered with the a-line baby dress pattern, but the main focus was long sleeves. I knew that if this dress was a hit, that I would want to have short sleeves too, so I added those as well to the design. I completely omitted the thought of having the dress be sleeveless. If I have people who ask about it though, I might make a knit sleeveless dress in the summertime. I wanted a dress that was fitted around the bodice, and flared out below the waist. I also knew that I wanted something longer than the average baby dress. I think it's interesting that dresses in the store are sleeveless AND too short. Leggings and tights are cute, but the main attraction should be the dress, so lets cover a bit more leg. I had been working with knit fabrics a lot lately so I thought it would be fun to have a knit baby dress. You usually see woven dresses this time of year, so this would change up the norm a bit. Not only that, but when I started to imagine a neckline for this dress, I loved the idea of doing a pull-over style that had no buttons, zippers or snaps. In fact, you could almost call this dress a t-shirt baby dress (although a bit fancier). Lets get started in the design process. 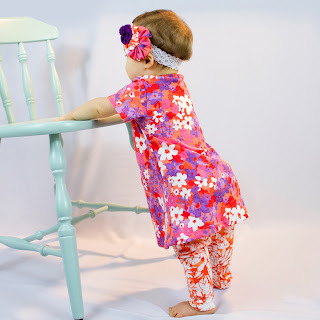 The first thing that did with this pattern was visit my onesie pattern and fitted shirt pattern. I pulled a great neckline from them and also my superb sleeve length. 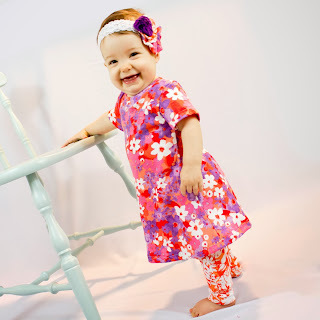 Then I looked at my baby jumper pattern to nab the length from, but quickly decided that it wasn't long enough for this long sleeve baby dress design. I love the baby jumper pattern, but it is meant to be worn with leggings and ruffled diaper covers. 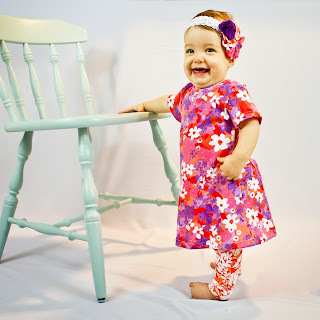 I wanted a dress that I could put on my baby over top of winter tights without worry about the crotch seams showing. So I made the length longer and made the width a tad wider. 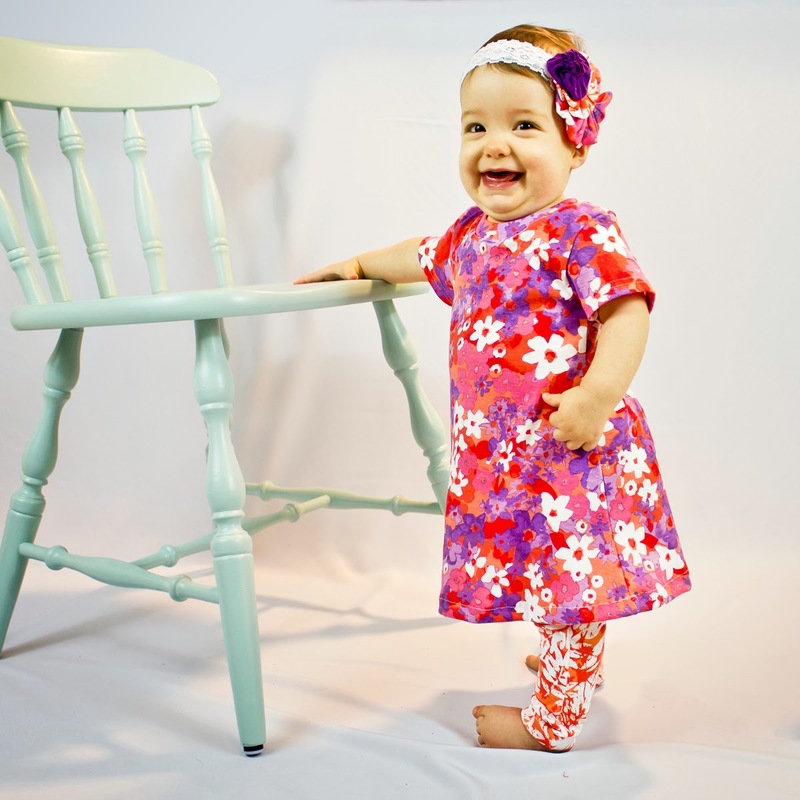 The length of the new long sleeve baby dress is about knee length on most babies. A word about sleeve length. I love the length of my baby dress sleeves. Recently, I put a store bought shirt on Claire and she wore it to church. The whole time that she was wearing the shirt, I had to keep pulling the sleeves down because they were too short. Many people at church ask me each week if Claire's outfits are homemade (which they usually are), so I had to make sure to tell people that the shirt was NOT homemade. I was a bit embarrassed that she was wearing something that fit so terribly. 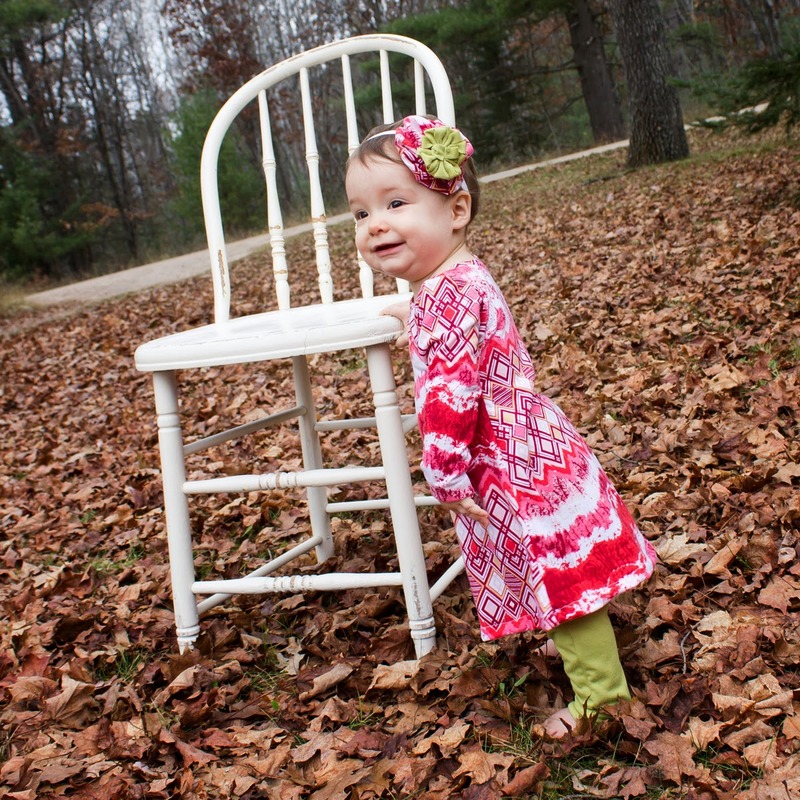 The hem of the long sleeve baby dress couldn't be easier or neater. Simply fold, press and sew. I have been reading a lot of tutorials that talk about using a double needle while sewing knits. It is a great idea. I did mention that in my tutorial in a few places. However, a standard zig-zag stitch works great. If you prefer the look of a single line, try to use an elastic stitch (which I also mention in the tutorial). I also love using my serger and use it for most of my knit projects, so I also included in the tutorial where would be appropriate to use the serger if you had one available. 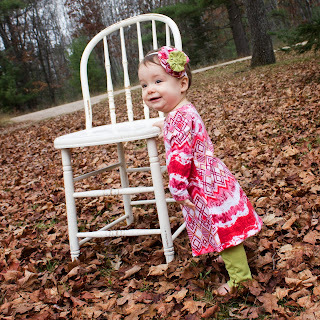 Long sleeve baby dress pattern sizes. The sizes in this pattern are so versatile. 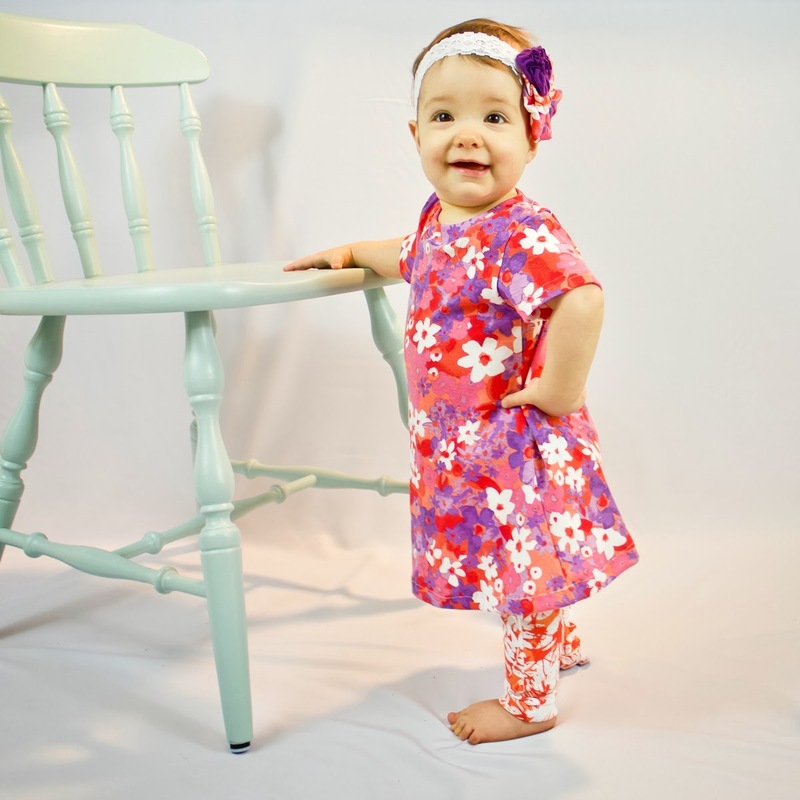 They are accurately sized from newborns up to 36 months based on current U.S. clothing size trends (in English, this means that the pattern is the same size as your baby's store bought clothes sizes). The reason that I say they are versatile is because of the 'knit factor'. Because knits are so stretchy and giving, your baby can wear the long sleeve baby dress for multiple sizes. Your baby can typically wear a size below and a size above their current size when working with this pattern. 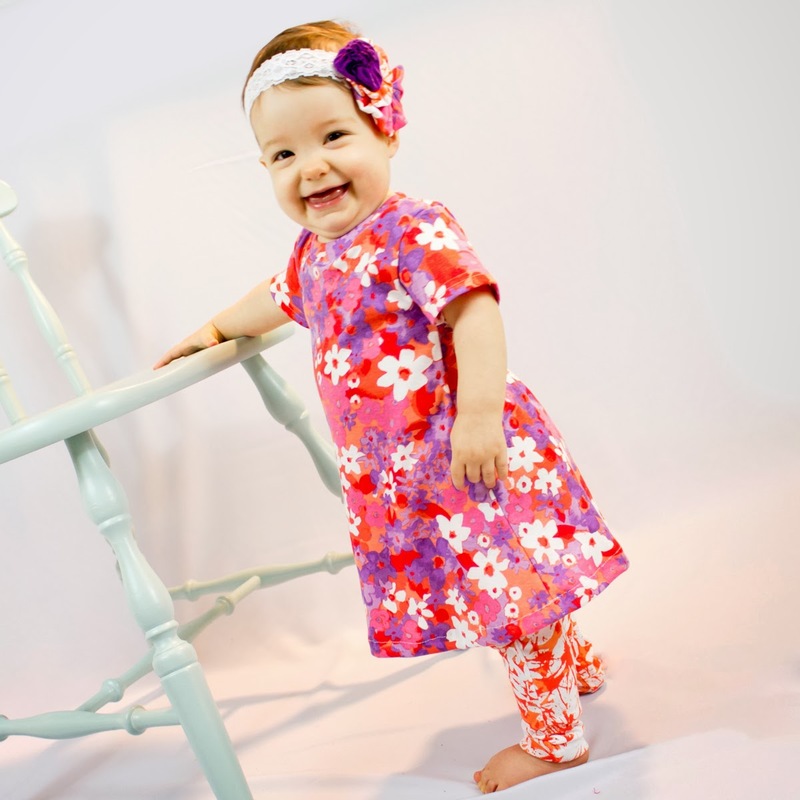 It has the flexibility to allow you to extend your baby's wardrobe for longer periods. I really liked making this sewing pattern. It was the end of my Emma Collection (other than the free flower headband patterns that I still need to do) that I have been working on recently. Sometimes I am sad to be done with a project as I am having so much fun with it, but this one was not the case. I was very glad to be done and ready to give it to my customers. I have had multiple requests for an a-line baby dress pattern that featured long sleeves, so this was perfect for those that asked as well as for multiple mammas who are making holiday dresses for their little ones. Soon to be added to the Emma collection will be free patterns of the flowers that I used for Claire's headbands. Isn't she a beautiful model? 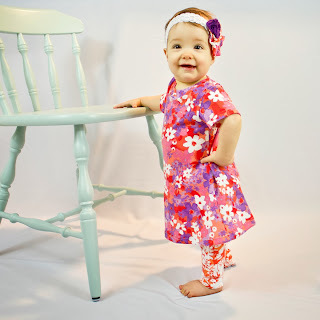 Thank you for joining me to read about my design process for the long sleeve baby dress pattern. I hope that it inspires you to be creative! Check out thelong sleeve baby dress pattern now!